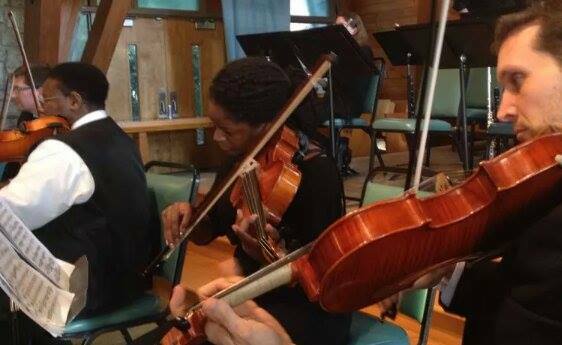 Evonee Mitchell is Atlanta's newest solo violist. Her deep and mellow viola sound is what makes her performances around the city so highly acclaimed and distint. 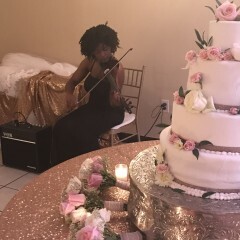 Evonee offers solo viola music ranging from R&B and Neo Soul to classical wedding music, background music, rock, pop, country and more. Absolutely loved your performance at my wedding. Thanks and I will definitely keep you in mind for future events. Evonee provided a spectacular performance; her musical selections were excellent. 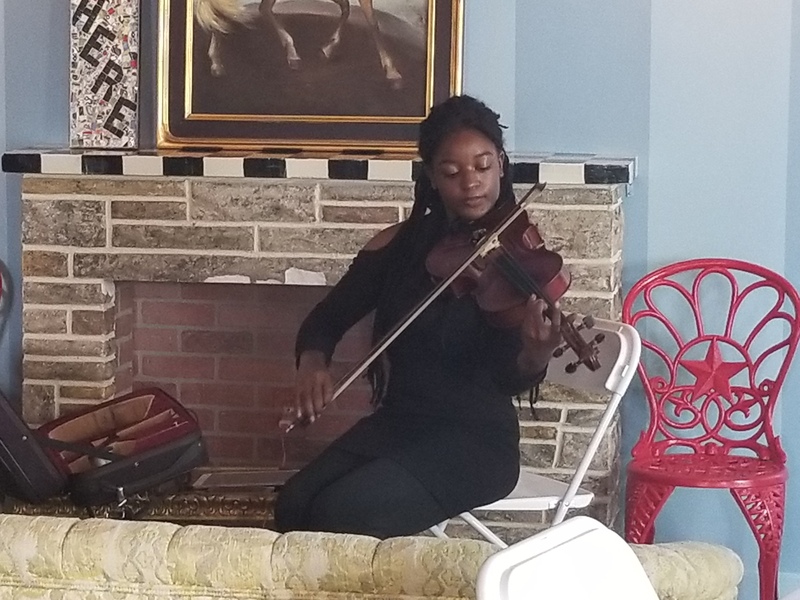 She arrived early to set up and everyone marveled, and is still talking about, the beautiful music. I highly recommend her for a job well done. She is a master at her craft and I plan to call her for future events. Thank you so much Jean! It was a pleasure meeting everyone and performing for you all! I hope to come back and join you all soon! We contracted Evonee for a corporate event, and she was the star of the party. She was very responsive all the time. She was on time, very well dressed and with everything ready to start, I didn't have to worry about her, I just enjoyed the show as any other guest. She was very professional before, during and after the event. I highly recommend her for your future events. Evonee Mitchell exceeded my expectations. 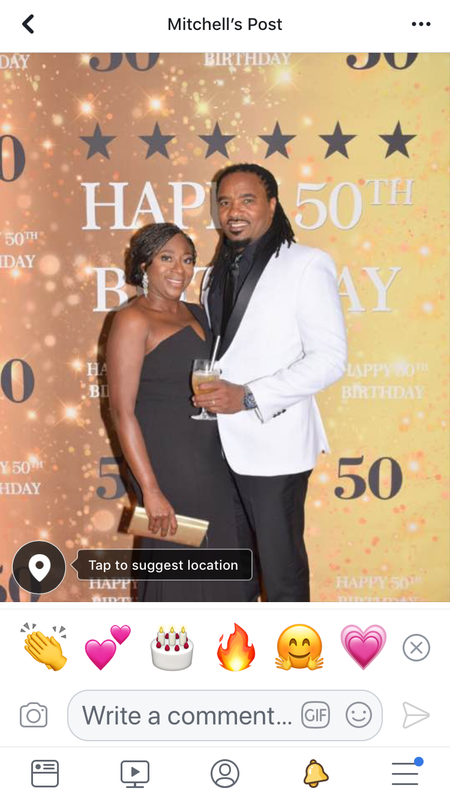 I booked her for my husbands 50th birthday celebration. She arrived early, was very professional and wowed all of our guest. My husband was especially surprised and loved having the personal touch of a violist. We had problems with the DJ and Evonee saved the night. I definitely plan to use her for future events. Thank you so much Toni! 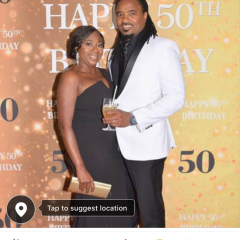 It was both a pleasure and an honor performing for you and your husband on your husband‘s 50th birthday celebration! I hope that we can work together on future events very soon thank you so so much again! I highly recommend Evonee! She played for my wedding and was a pleasure to work with. She was super flexible and willing to play anything I asked her to play. I don't think my wedding ceremony would have been as beautiful without her. Evonee was an extraordinary talent. She was well versed in the songs that we requested and she was very responsive leading up to our wedding. She plays beautifully! I highly recommend her! Thank you so so much Pier! I enjoyed playing for you! Your ceremony was so beautiful and it was an honor! Evonee played at my wedding, before, during and after the ceremony. She was fantastic and gave me exactly what I wanted. She’s very professional and takes pride in her art. She’s definitely a must have!! Thank you so much Elizabeth! It was a pleasure performing for you! I am so elated that you enjoyed my performance! Hello there. I just wanted you to know that we were VERY happy with your service. Your music had a nice, rich sound and we enjoyed it through mass. Thank you! Thank you so much Marybel! I enjoyed performing for you all and I am so happy you enjoyed it! She played her heart out, and all attending really appreciated her for setting the tone and creating soft background music. I'm very thankful for her talent as well as appreciative for her performance. She was on time. Professional. And mindful to our playlist & guest. Would recommend and use again. Thank you so much Vin! It was a pleasure working with you. I appreciate you having me perform for your event and I am happy to hear that you and your guest enjoyed the music. I hope we can work together again in the future! Evonee did a great job! She was prepared and knew her instrument. She played the requested program with skill and professionalism. She even offered to extend her program if we wished. Her appearance was the topper to a memorable 48th anniversary dinner. Thank you Evonee. Evonee was awesome, I highly recommended her! Love Evonne! She is extremely talented and very professional. Thank you so much Fiona! It was so much fun performing for you and Joe! Best wishes and I hope to work with you again soon! Thank you so much Edmund! It was a pleasure performing for you and your beautiful wife! I hope you had a wonderful Valentine's Day. I would love to perform for you again! Thank you so much! I enjoyed performing for you all! We really enjoyed Evonee’s music. This young lady was awesome! She was prompt, pleasant and amazingly talented!! She engaged the audience and played melodies that were perfect for our event. We were so pleased with her performance and will look forward to having her come by again! Arrived ahead of schedule. Played and sounded wonderful. 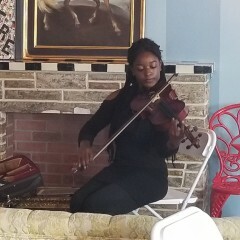 Her music created the ambience I needed for the bridal shower. She was truly the icing on the cake! Thank you so much Bridget! It was such a pleasure and an honor performing for the Bridal Shower! I had a lot of fun playing for you all. I hope we can get together for future events! Solo viola or violin music ranging from R&B and Neo Soul to classical wedding music, background music, rock, pop, country and more. Visit her website at http://evonee.weebly.com/ for more information! 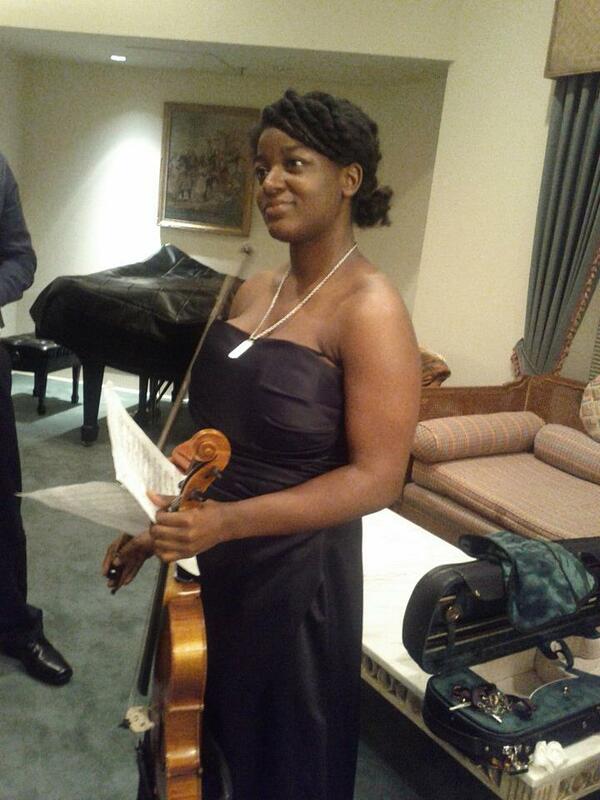 Evonee Mitchell is an accomplished violist who is currently pursuing a degree in Music Performance. Throughout her career, Evonee has received many awards and titles of recognition such as the recipient of the Guyton-McLendon Music Award as well as many other accolades. She has taken part in many master classes with world renowned solo musicians and ensembles like the Jupiter String Quartet, Graffe String Quartet, and world renowned violinist, Betul Soykan just to name a few. 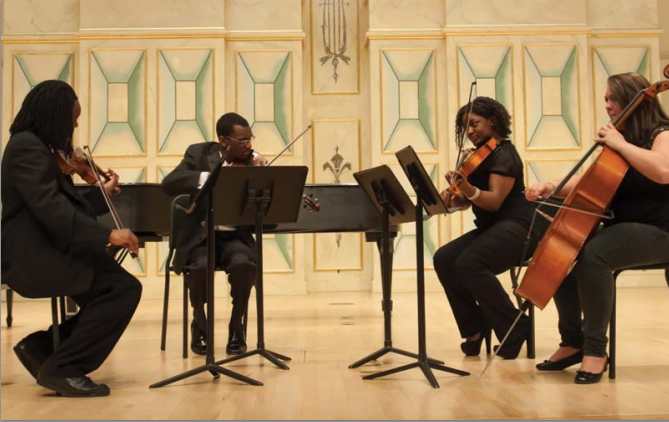 Evonee continues to study classical methods of education and performance as well as jazz performance as a soloist and chamber ensemble musician in the Renatus String Quartet /). Evonee has performed with very notable ensembles over her career such as the Gwinnett Symphony Orchestra and the Atlanta Philharmonic. Evonee is the founder and CEO of the Phoenix Strings Conservatory located in Atlanta Georgia. 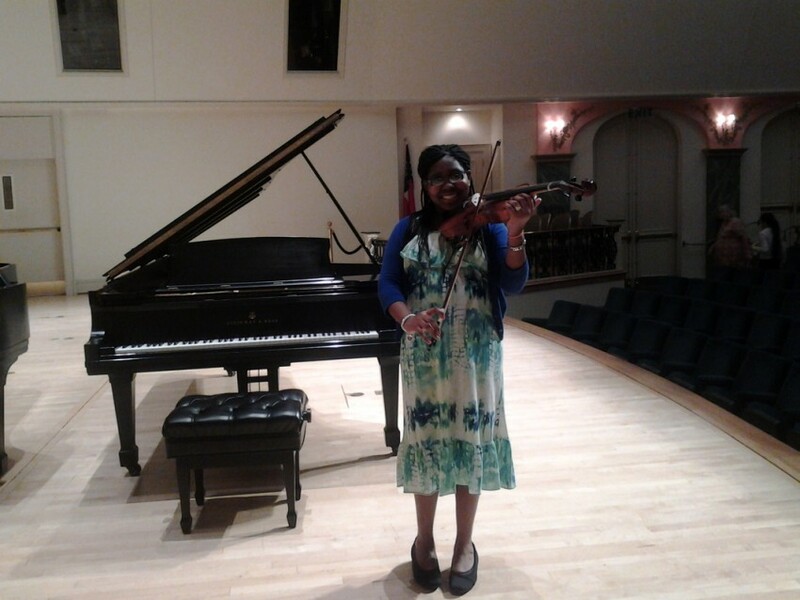 She is also currently working on her Bachelor's degree in Music Performance under the direction of one of the most distinguished and highly acclaimed violists, Tania Clements Maxwell. She currently performs on an Czechoslovakian viola given to her by a dear friend, mentor, and luthier, Norman Bernal.